To be honest, carrying a cable in your car or bag to keep your phone charged probably isn’t that big a deal to most people. 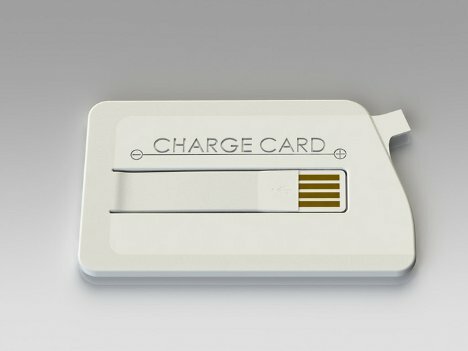 But for those of us who can’t be bothered to take one along, the ChargeCard is a brilliantly designed gadget to keep your mobile phone or iPod topped up at all times. 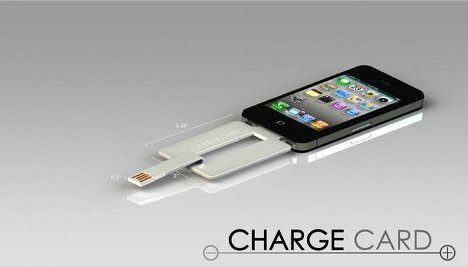 The ChargeCard is, more or less, a USB cable sans cord. It’s the size and shape of a credit card, so it stores handily in your wallet or pocket. You can keep one in your wallet at all times just in case of an eventual iPhone battery emergency – and you’ll never even know it’s there. This cool idea earned way more than its goal on Kickstarter, and it’s generated a lot of interest from people who presumably find themselves stranded with a dead phone pretty often. 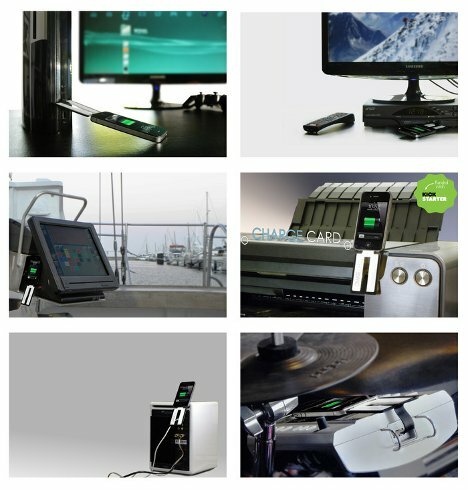 The device comes in two flavors: iPhone/iPod or Micro USB. They’ll each run you $25 – not a terrible price for such a handy little piece of battery insurance.